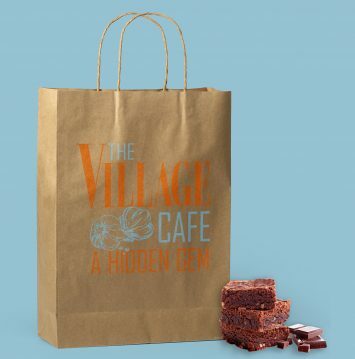 The Village Cafe is a hidden gem, a tagline that has been in use for many years by the cafe who is off the main thoroughfare of Stillorgan Village. The Village Bistro is its sister restaurant in Terenure. The challenge for CUBE Design was to develop a flexible brand system that could be interchanged and work across both the Cafe and the Bistro. Our solution to the problem was to develop logos where the typography remained consistent, and a series of illustrations were used with each logo, and mixed up as required. For example the coffee cups have coffee beans as the illustration, whereas the cafe logo is with the garlic, and the bistro logo is with the onion. 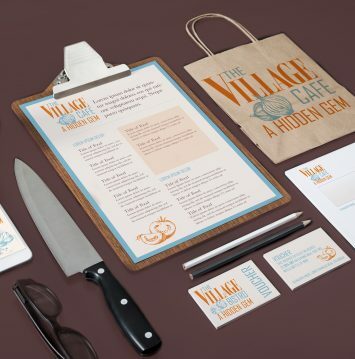 The illustrations can then be used in isolation around the brand collateral, for example on the menus and tenet cards.